Mrs. Parks-Skerpon, who has taught here for eight years, is leaving us. She will continue to teach as the Coordinator of Youth Ministry for grades 6-12 at her home parish of St. Pius X Church in Bowie, MD. Although she will not be teaching in a classroom, she will still be educating children in a youth group setting. As both an American Sign Language teacher and volleyball coach, Mrs. Peggy Worthington has dedicated her life to education for over forty years. She taught and coached volleyball at Gallaudet University for thirty years. After leaving Gallaudet, she taught at the University of Maryland for two years before coming to Bishop McNamara. Ms. Worthington said that after leaving Gallaudent, she “was glad to have the opportunity to teach again.” During the eleven years she dedicated to McNamara, she recalls, “I love the kids here, I couldn’t have asked for a better place to teach.” Although Ms. Worthington speaks with pride about her many years of work as a teacher, her eyes light up and her smile widens as she speaks about her plans after retirement this year. Ms. Worthington, a true free-spirit, will dedicate her time after retirement to completing her “bucket list.” While she has seen and experienced much of the world already, she looks forward to all of the new and exciting things her bucket list has in store for her. A few of the things on her list are: climbing Mount Fuji, going on an African safari (again), skydiving, and doing much volunteer work. Mr. John Shryock has been a familiar face around McNamara since 2004. Starting his teaching career here in 2007, Shryock taught a variety of classes including Technical Theater, Digital Photography 1, 2 and 3, Speech Communications, and Computer Applications. Shryock added a level two photography class and an AP photography course to the school’s curriculum. He is also the moderator of Tech Crew and Guitar Club and co-moderator of Media Club. Shryock plans to move to Los Angeles to pursue full time photography. However he will always remember his “camaraderie with the tech crew,” he said with a smile while recapping his fondest memories at McNamara. Whether helping out with the plays or taking gorgeous student headshots, Shryock’s quirky smile and glasses will greatly be missed by the McNamara community. Holy Cross Service Director Mr. Timothy Harden has been at Bishop McNamara for the past two years. For both of those years he was a sophomore religion teacher. Unknown to many, Mr. Harden used to be a fly fishing guide in Colorado and now has a fly-fishing business on the side. After graduating from Gonzaga High School, he attended Regis University in Denver, Colorado, where he majored in Peace and Justice Studies. Received his BA in Government and Theology, a Masters in Theological Studies and then a PhD in Systematic Theology. Has taught religion for 13 years in high school and college and teaches religion classes here at Bishop McNamara. He has traveled to over fifteen countries. Began her career at age 15, teaching English to children, and has a degree in computers. Also speaks Spanish and Japanese, and feels that working at McNamara was part of God’s plan for her. B.A. in Theology from Franciscan University of Steubenville in Ohio, and is very happy to be back teaching at McNamara. She had previously taught here from 2001-2006. She came back, feeling that God was directing her path in this direction. Double-majored in Mathematics and Computer Science and came to McNamara after Queen Anne School closed down last year. He feels like this school is a good fit for him, saying there is a spirit about the students that makes it enjoyable to teach at McNamara. Is an undergraduate in a double major of Biology and Political science with a professional degree as a Juris Doctor. She specializes in teaching both the sciences and social studies. When she decided to teach, Bishop McNamara was her first choice. “Mr. Tee,” as students call him, was born in Nigeria and lived there until he was 19 years old. He received a B.S. in Chemistry from City University of New York – Brooklyn College. He describes his McNamara experience as “eye-opening, rewarding, challenging and exciting.” Mr. Tee loves classical and gospel music and has a good ear for rhythm. In his free time he enjoys playing tennis, golf, and basketball. Ms. Long teaches Latin 1& 2. She has a degree in counseling and has worked in education for 30 years. “The environment here for students, parents and faculty is supportive and stimulating, and family-like,” she said. Her son also attended McNamara as a student. “McNamara is totally AWESOME, in all capital letters,” she said. As The Stampede finds out more, we will be sure to update readers over the summer or in the fall. School tuition will go up 6.6 percent, resulting in an added $750 and a total of $12,000 for the next school year. The decision, made by the Board of Directors and Finance Committee, accommodates the various needs of the school and takes into consideration the factors of our strategic initiatives, the economy, and how we compare to other schools in the area. According to President and CEO Mr. Marco Clark, the school has increased tuition every year since the early 1990’s and individual increases have ranged from as low as 3 percent to as high as 11 percent. In most cases the increase is due to a rise in the cost of household expenses like electric, gas, water as well as the expenses of salaries and health coverage for the school’s employees. “Our 6.6% increase is a little bigger increase than usual but necessary to accomplish several of the goals we’ve set forth and to meet the needs of rising costs outside of our school,” said Mr. Clark. The letter sent home to the parents on February 14th addresses plans that are already in place to utilize the money in the coming year for various improvements to the school. Much attention will be given to the technology available throughout our campus, which will be evident through a fully-managed wireless system throughout campus, state-of-the-art presentation-capable projectors and thin clients, and Smart Boards in select classrooms. Also for next year, there will be a new teacher in the Religion Department to bring down their class sizes to a better manageable size, and another Information Technology teacher to also train faculty to effectively use the new technology that will be available. Currently there are also plans for a new front sign at the entrance of the school, a new scoreboard for Tyoka Jackson Stadium, new weight room equipment, and what Mr. Clark calls a “facelift” in the Fine Arts theater. John Rookard’13 said both he and his parents understand that it is sometimes necessary to increase the tuition in such a manner even if it can sometimes seem to be a nuisance. “I couldn’t really put a price on McNamara… you can’t really put a price on the atmosphere, the friendly teachers, and the nice people” he said. Even with the increase, McNamara remains one of the most affordable Catholic High Schools in the area. 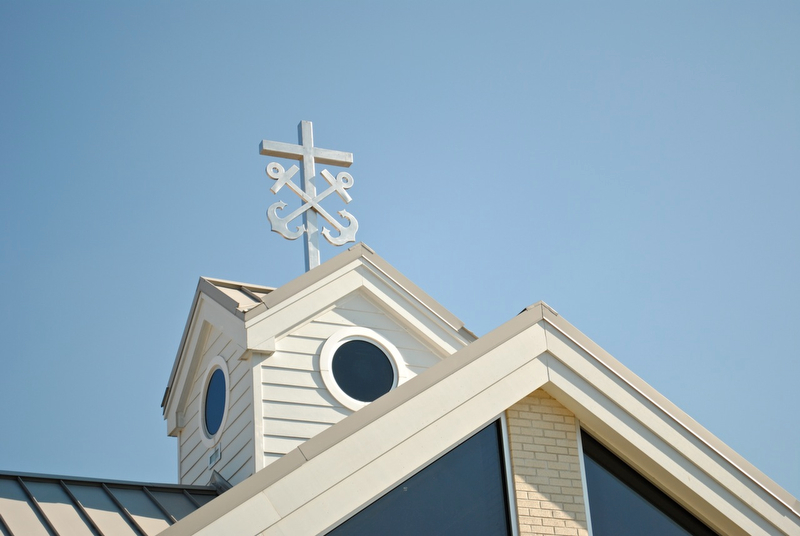 Of the twenty Catholic high schools in the Archdiocese of Washington, McNamara had the seventeenth most expensive tuition. Even with the increase, McNamara is only facing the possibility of becoming sixteenth once the last one of the competitor schools releases their information. “Compared to some other schools like DeMatha, which next year will be $13,900 plus book purchase, registration, and fees or St. John’s which is over $16,000 when all factors are considered, we feel that our tuition is still very affordable,” said Mr. Clark. Bishop McNamara is seeing increased attention given to the security of the school and the safety of its campus. There is a new automatic gate in the back parking lot, a greater amount of security guards on campus as compared to last year, and plans for setting up more cameras around the school. According to Mr. Reginald Brady, the administrator who oversees school security, plans to increase our school safety have been talked about and in the works for a while. Although both the gate and increased security guards have occurred this school year, they have been considered for a while before. Recently, we have had some problems regarding car safety and thefts of personal property, primarily in the Mount Calvary and Union parking lots. Mr. Brady said this did not cause our increased security, but rather pushed us to “jump to it” faster. Each day there are two to three security guards on campus making rounds, securing the perimeters, patrolling all three parking lots, and reinforcing school polices. One of our newest security guards, Ms. Felicia Calloway, has been here since the beginning of the year. Usually Ms. Calloway works at apartment complexes, but she enjoys the change in atmosphere that McNamara gives her. She sees no real threat from the area surrounding McNamara, and does not anticipate any future incidents occurring now that greater security measures are in place. “[Our] main concern is people who are not supposed to be here getting on campus,” said Mr. Brady. The new automatic security gate addresses this major concern because unlike the old gate, this new improvement only allows people already on the school property to get out, but not anyone from the outside get in. For some students like Corey Snowden ’14, security never crosses their mind. Having transferred to McNamara in early November of this year from a public high school, Snowden says there are less security features here than were present around his old school, which he attributes to the fewer amount of incidents and threats our community has seen. When asked whether he felt safe at his school, Ben Hartmann ’12 immediately said, “Of course. We are stepping up the security in the form of guards.” For Kevin McKeown ’12, security is “not a worry” mostly because of the presence of security guards on the campus as well as the new automatic gate in the rear of the school building. The automatic gate system is a good idea because “no unwanted guests can get in,” said Coye Gerald ’12. The overall consensus of students is that they do in fact feel safe here at McNamara. Seniors deal with the stress of senior year. Jon and Kate’s task of raising eight kids- easy! Tom Cruise’s job in Mission Impossible- a trifle! All of Indiana Jones’ adventures- child’s play! That is, when compared to the task facing all BMHS Seniors: homework, Senior Service Projects, co-curriculars, college applications, and everyday life! Let’s face it, homework takes time if done well. Co-curriculars take some more. College applications by their very nature involve going to pains to impress someone. And everyday life — who can really predict that? Therefore, seniors must get less homework. The interminable application process takes up time. We have to choose between digging our way out from Homework Mountain or preparing for their SAT. Then comes the application. Now is the time that mistakes start emerging in the essay and brag list; not merely checking the “M” box when your name is Princess and all other official documents say “F.” Here, kids, as guidance counselor Clare Treichel says, “skip stuff.” Students deserve the time they need to do their work. Then there is the Senior Service Project. Kevin McKeown ‘12 is finishing the paperwork now, and says it is, “like homework on top of homework.” Needless to say, in this predicament, he finds less homework favorable. The story of Courtney Moore ‘12 springs to mind. Only minutely procrastinating, and already working for a while, she stayed very late to finish her work. Sadly, she fell asleep, slept past eight, and had to wait until someone could bring her to school. How can this continue on? Project Earth was “Mrs. Gossart’s legacy before she left,” said Ms. Steeger, Biology teacher and club moderator. Just two years ago, Bishop McNamara went eco-friendly and started our very own recycling program. Unknown to many, this big change was caused by Bishop McNamara’s Project Earth. This “eco-club” is an organization formed to encourage environmental stewardship at McNamara. This year Project Earth plans to have multiple activities, including a field trip to the zoo, the Smithsonian Museum, and a vegetarian restaurant. To help continue the use of recycling, Project Earth will be participating in the annual plastic bottle competition, to compete to see who can collect the most bottles for recycling. They also plan to help 4th Graders at St. Peter’s in Waldorf with an Environmental Education Project. Activities will include sampling the water from streams, inspecting aquatic insects, and many other biological activities. The club made eco-friendly Christmas ornaments, which they sold two years ago at the BMHS Christmas Festival. The funds raised were donated to environmental causes such as the World Wildlife Fund. Last year, they donated money to the WWF to support endangered species. In addition, Project Earth hopes to have ACE, an organization that works to educate high school students on the state of the environment and how it can be improved, visit McNamara again. ACE last visited us two years ago and held a presentation in the Theatre for any interested students or teachers who wished to bring their class during that Period. When asked about the recycling program, Ms. Steeger said that it still “needs improvements” and will be worked upon further by the club throughout the year. Many people have been using the recycling cans as trash cans, especially at lunch. Some classrooms also continue to have an absence of recycling cans. They hope to supply any more recycling cans needed and will supervise and encourage students and teachers to recycle daily. 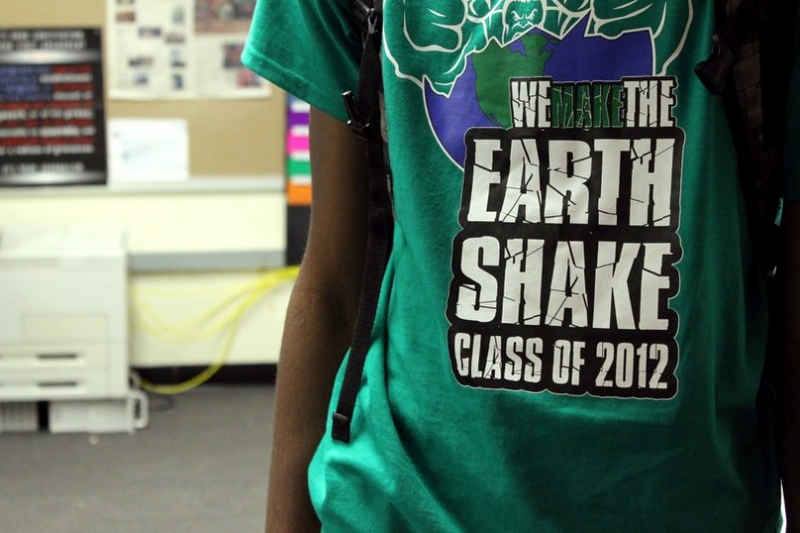 To join or learn more about Project Earth, see Ms. Steeger in room 202 after school for more information. September 11th, 2001: Just another normal school day. The students walked in, went to their lockers, got their books, went to their homerooms, and their day began. After homeroom was over, the students walked to their classes, sat down and started learning; it was just like a usual day. Later that morning, students heard an announcement over the PA system, calling Mr. Clark to the main office. “As I arrived I was told that a plane had hit one of the World Trade buildings. Like most people, I thought it was a small plane flown by a novice pilot.” said Mr. Clark. He had no idea that it was an organized attack on the U.S.
“Even though we didn’t turn on the TV’s or make any announcements yet, the word began to spread very quickly and many rumors began to circulate: we were being bombed, the capital was under attack, the President of the United States was being targeted,” Mr. Clark said. “And what I witnessed here at McNamara was one of the most inspired moments of my life. The presence of the Holy Spirit was obvious that day as students supported one another, teachers came to the assistance of families by going from classroom to classroom to retrieve students as their parents arrived, impromptu prayer groups formed and within a few short hours every student in our building had been picked up and were home safe with their families,” Mr. Clark said. After a few days went by, the students returned to school. When they returned to school, a mass was held for the whole school. “I personally never felt so violated and less secure about our safety,” Mr. Clark commented. On the 10th anniversary of 9/11, there were many things that were done to commemorate the day of remembrance. Because the anniversary was on a Sunday, McNamara held an assembly on Monday, September 12th. The assembly was put together by the Teens In Action group. There were numerous speakers, including Mr. Dougherty, Justice Walker, Delegate Braveboy, and Mr. Clark. These speakers talked about their point of view on the attacks and how it directly effected them. They also talked about how it impacted them personally and how they felt. Mr. Clark not only spoke at the McNamara assembly, but on Tuesday, September 6th, 2011, he appeared on “Catholic Matters” WMET 1160 radio. There he spoke about he felt on 9/11 and how it impacted him as the principal of McNamara as well as a father with children.